maturity to cover their messy and bizarre disagreements. Huhuonline.com editorial team are now having sleepless night as a result of phone calls, text messages and e-mails emanating from concern Nigerians, majority who are Lagosians, expressing displeasure about the political crises in Lagos involving the two gladiators and other sundry issues in the state. It would be recalled that huhuonline.com earlier gave some insight concerning this lingering crises, this efforts was however criticized by some people believed to be loyalists to Senator Bola Tinubu who have benefited from him economically. Their claims were that our painstaking findings are not accurate; some of them even said we have been paid by some individuals to paint Tinubu black. All these reactions are lies meant to shift attention from the realities that are resonating from the state. Inspite of the fact that Fashola's government is gaining public sympathy and support which was consequent to some measure of developments and achievements he made in his two years in office, attacks are profusely coming from Tinubu camp as Fashola has distanced himself from running government in the old ways of starching state funds to the private accounts of party faithful especially God-father. Tinubu's camps are of the opinion that the Party needs more funds to perpetually keep PDP away from gaining political dominance in Lagos and other AC controlled States in the country. Apart from that most elections tribunal are said to be sponsored by Lagos state through the tax payers money, the biggest shocker however was that President Attah Mills of Ghana was also financially sponsored into power to spite the Nigeria Ambassador to Ghana, Senator Musiliu Obanikoro, who also contested gubernatorial election in 2007 under the platform of PDP but lost to Fashola with margins of hundreds of thousand. As previously published by huhuonline.com Tinubu was not favorably disposed to the Fashola's re-election in 2011 poll because of alleged “growing wings.” He was said to be rooting for the candidacy of the incumbent Commissioner for Environment, Dr. Muiz Banire, in 2011. Our findings have it that Banire and Fashola often engage self in some verbal attacks in full public glare and that Banire has equally make it a usual habit to always come late to their weekly executive sessions. Not just Banire also the controversial Tokunbo Afikuyomi equally treat the Governor with disdain with the belief that he is a traitor to his God father Senator Bola Tinubu. Huhuonline.com can conveniently say that Tinubu's preference has polarized AC in Lagos State, especially the State House of Assembly and the entire kitchen cabinet in the state. Meanwhile there is now a new twist to the whole development apart from what was previously published. A source declared that Tinubu Alpha Beta was collecting N3bn monthly, but Fashola reduced it to N2bn and to N1.7bn.Tinubu and his cohorts became upset about the reduction and demanded a refund of the N13bn he spent to install Fashola as Governor in 2007. Responding, Fashola said the N13bn was Lagos state money and not Tinubu`s personal fund. Consequently, Tinubu threatened to impeach Fashola and Fashola, who was Tinubu chief of staff, thus was familiar with all his dirty deals has vowed to expose Tinubu .Worried about the gravity of the danger the fight between god-father and son will cause the party, subsequently scheduled a meeting between the duo, but Tinubu failed to show up; Tinubu was later sighted in Denmark on the day of the meeting. As a matter of fact there are fresh indications that Tinubu and the Party machineries that are loyal to him are doing everything possible to impeach Fashola before his tenure lapses. 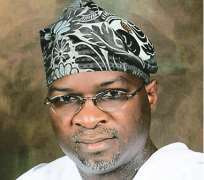 Sources confirmed that if Tinubu impeaches Fashola, AC will definitely loose Lagos state in the subsequent election, as Fashola will decamp to Labour Party, and then will use power of incumbency to return himself as Governor in 2011. Tinubu in his usual manner is now recruiting media houses to help him fight Fashola, Huhuonline.com gathered that he recently met with the publisher of a leading newspaper in Nigeria (name withheld) to help him fight Fashola, but the publisher demanded N50m. The whopping amount scared Tinubu away the source conformed. Huhuonline.com available facts have it that Fashola had tacitly refused to advertise all the programmes and projects being handled by Tinubu as part of his achievements so that if eventually it backfires he would wash his hands off it. His worry stems from the fact that he may not be able to defend some of the contracts being executed across the state by Tinubu's construction company, Hitech, and some concessionaires, including the Lekki Concession Company (LCC), with the contract sum shrouded in secrecy. Huhuonline.com understands that Tunji Olowolafe and Deji Ali (of ARM resource Mangers) have been fronting for Bola Tinubu as the Chairman and Directors of Lekki Concession Company. Tinubu owns lion share in the company (HITECH Construction Company) responsible for the construction of the project. Hitech has always been the only construction company executing major construction projects in Lagos State, despite the fact that they lack the technical know-how and competence in construction works. In exposing some of the agonies Lagosians will soon face, Managing Director of LCC, Opuiyo Oforiokuma, publicly said that the barely 50 km road from Falomo Bridge loop to Eleko beach junction would cost the concessionaire N50 billion. That means N1 billion per kilometre. Yet, the company would operate on the road on Build Operate and Transfer (BOT) for 30 years. The contract was signed in 2006 by the Tinubu administration. Another sore point is that LCC is erecting a toll plaza on the road already and will start collecting toll even before it completes the project. That is beside the fact that two more plazas would also be erected to make it three. The money spinning project is expected to give Tinubu hundred of millions every month. Though the President of Eti-Osa Heritage, Adewale Sanni, has vowed that over his dead body would Tinubu's company start collecting tolls before the completion of work, the former governor appears unperturbed. At a recent stakeholders meeting in Eti-Osa by the state government to mediate in the face-off with the company, Sanni said the people of the community would rather die than watch the state suffer from the concession arrangement. The community decried the insensitivity of the state government to its plight, saying it was ripped off and was not carried along before the idea was imposed on them. In the ensuing melee, the Lagos State Commissioner for Physical Planning, Francisco Abosede, was almost lynched. Apart from the political imbroglio between Fashola and Tinubu some section of the State are also complaining bitterly about Fashola's government, especially its new tax regime and other policies and steps that lacks human face. Recently in the state embargo was placed on all surface sand mining and dredging activities across the state, the Commissioner for Waterfront Infrastructure Development, Prince Adesegun Oniru made that that announcement public, particularly to the concerned stakeholders. According to Oniru, the decision of the state government to suspend sand mining activities till further notice is geared towards checking environmental havoc caused by illegal sand digging activities in most parts of the state, which to the state government is worsening the fragile ecosystem of the State and could lead to serious and irreparable damage to the landscape of the area apart from degradation of the environment. Meanwhile stakeholders in the Lagos mining business have repudiated the activities of Lagos Government saying apart from the officials fees they pay to the state government over the years, LASTMA officials and members of the state task force often harass them and collect different fees from them ranging from N80,000 and N100,000. They also said the multiplying effect of that embargo would take serious toll on builders in Lagos because it will now cause them double money to get sand for the construction and building of their structures. They also said the law was so that state will now gain full control of sand mining and issue secretly issue licenses to their party faithful (Action Congress) at the expense of non partisan Lagosians who have been in the business from time immemorial.